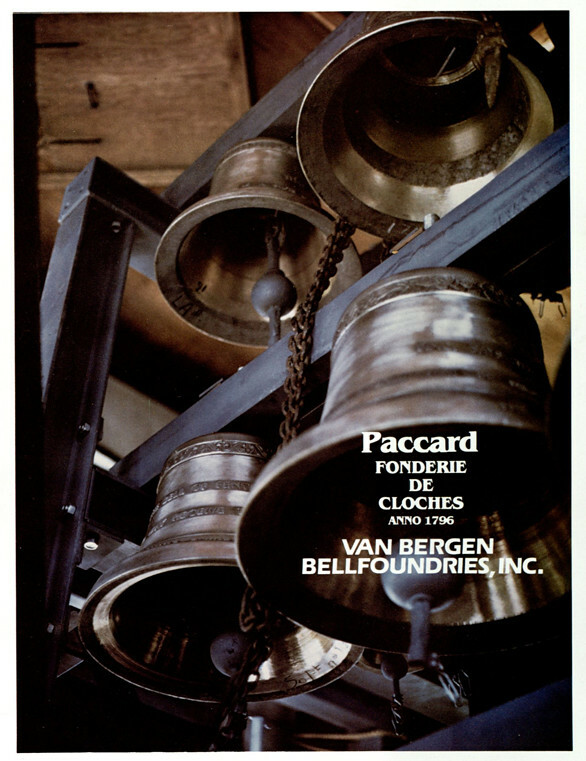 In 1930, the illustrious Baylor University became officially accredited as a School of Music by the National Association of Schools of Music (NASM). 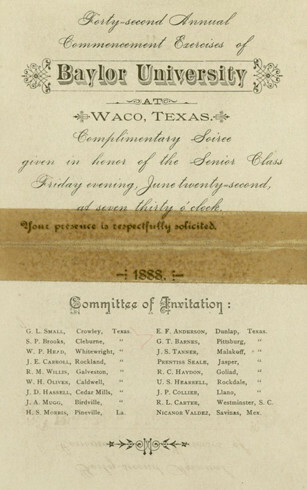 Under the guidance of the School of Music director, Roxy Grove, who was granted the position in 1926, the Baylor School of Music would have quite the pivotal impact on the university. 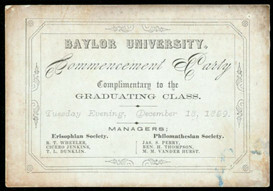 Grove, being a proud Baylor alumna, noticed that the university lacked a solidified alumni song. 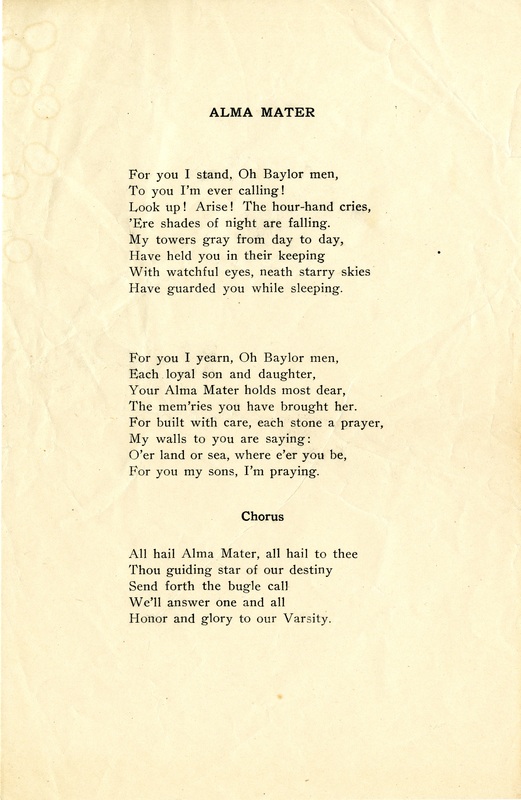 In 1928, Grove put her ideas to paper and music, and thus, “Alma Mater” was born. 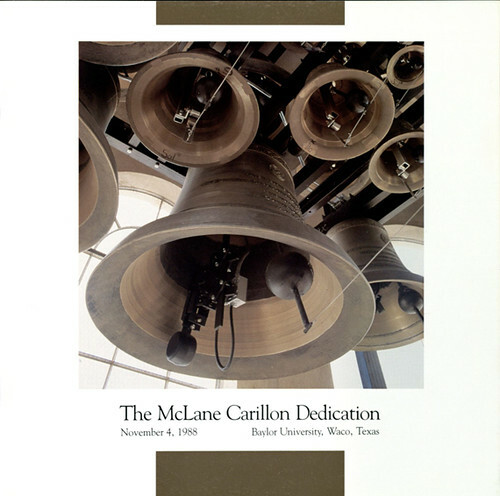 Her take on an alumni song for Baylor is quite powerful and somewhat poignant; perhaps the most pervasive line of the tune being, “…All hail Alma Mater, all hail to thee thou guiding star of our destiny…”. 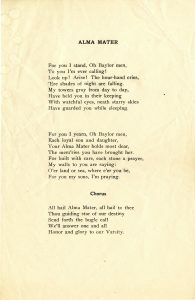 Lyrics like these make it undoubtedly evident that Grove, like thousands of Baylor alumni, held the school in the highest of regards. 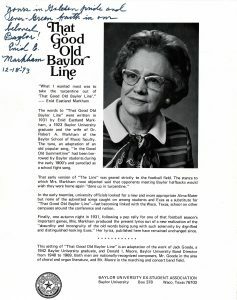 While this song was quite the powerful homage to the beloved alma mater, it did not stick around long; the song would be completely replaced in 1931 by another Baylor alumna, Enid Eastland Markham.